The Vikings and the Packers had an ice fishing tournament. and the Packers didn't catch any. Oh yea, that's right, I can't tell that joke anymore! It is my habit to walk each morning. So, on my first morning here, because I don't know my way around very well, I put an app on my phone so I could map a route, I could know where to go and how far I walked. I reviewed the map, and was pretty confident I knew where I was going. I got out a couple of miles, and the streets weren't quite the same as the ones on my map, I figured I could work out my way back, and, got myself all turned around. And then of course, it started to rain. What was I to do? Well, I pulled out my phone, and google mapped my way back. A little later and farther than I had planned, and soaking wet, I made it back to where I had begun. And I was reminded, again, that despite our best laid plans, things go array. The way back was not what I had planned, it was surprising and it was beautiful. And on my very first morning as your priest, God reminded me of my baptism. All ministry, your ministry and my ministry begin in baptism. And as we follow Jesus together, most assuredly we will plan a path and be rerouted, we will be reoriented, we will be sure of one direction and God will take us another. We will be surprised and it will be wonderful. We will get wet and we will remember that in baptism we are God's children, abundantly and amazingly loved. All of the work of kingdom building that we do together begins in baptism. All of the work we do together is in response to the amazing and abundant Love of God for us, God's people, God's beloved. It is good to remember these things when we are like Peter, and believe me, I am like Peter quite a bit. Like Peter, I answer Jesus at least three times, yes Lord, I love you, and like Peter, I deny Jesus at least three times, no, I do not know him. Like Peter, I can get so excited about who Jesus is that I jump out of the boat to go meet him, and like Peter in today's gospel, with my words and my actions, I deny who Jesus is. Why is this? I wonder if it is because this Good News of God's kingdom is so radically different than the world in which we live. This good news is just so very hard for you and for me and for Peter, and for those who are not yet here in our pews, to believe. "You are the messiah" they say. And Jesus says, don't tell them, I think, maybe because this life of following Jesus is so counter-cultural and therefore threatening. Like Peter, we look for a savior who will get us out of this mess, who will make life easy for us, who will tell us what to do and how to do it, so that we might enjoy the accolades, the notoriety that comes along with showing off our wealth, or our talent, or whatever it is that we have. 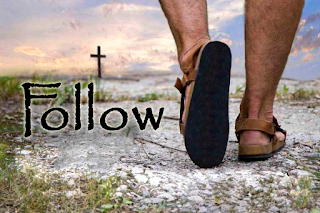 But following Jesus isn't like that, that's not the way it works, no matter how much we wish for salvation from the difficulty of the situation, no matter how much we wish for prosperity and ease of life, following Jesus doesn't get it for us. You see, the truth of our lives speak about the path of pain and suffering, the truth of our lives speak about the path of poor decisions, misplaced trust, love gone wrong. The truth of our lives speak about the effects of the ravages of disease. And there is no one and nothing that can just swoop into any of that and make it all pretty. But the truth of our lives speaks to the truth of the Good News. The truth of our lives points to hope rising out of the ashes of despair. The truth of our lives points to crashing and burning followed by baby steps of recovery. The truth of our lives, the truth of Jesus' life, shows us that there is always resurrection. And resurrection never goes around pain and suffering, resurrection is on the path of pain and suffering. So today's gospel is all about this path of following Jesus. This path doesn't result in success as defined by culture, it's not about wealth or possession. This path isn't about ease of living or absence of disease. It is not a gospel of prosperity. This path, Jesus says, is to deny ourselves, to take up our cross, and follow. Now, just in case any of you hear that as a call to suffer in silence, or just to take what the world throws at you, or even taking abuse at the hands of the one who professes to love you, that is not what this is about and it is not what I am saying. Jesus is talking about the new creation, Jesus is talking about reorienting the culture as they knew it, Jesus is talking about being the change that makes the world just, Jesus is talking about the kingdom that is God's love for all of creation, no exceptions, no exclusions. Jesus is saying that Love wins. That reorienting that Jesus does with us, is radically different. Jesus is saying that we indeed must lose our lives to save them. But what looks to the world like loss is not loss at all. You see, as we follow Jesus, new life is what we live on the way. On this path, we lay down ourselves for the sake of the kingdom and relationship, for the sake of compassion, for the sake of mercy, justice, and healing. And as we follow Jesus, we are about God's healing mission in the world. When we follow Jesus, together, we bear witness to God's love and healing in this hurting world. We make real to the world God's amazing and abundant love for all of creation. Following Jesus is about breaking bread with outcasts and sinners, healing the sick, and proclaiming good news to the poor. Following Jesus is about changing the structure of this world to be justified with the rule of God's kingdom. As Episcopalians we make a unique proclamation as we follow Jesus. People make that proclamation on our behalf when we are baptized, and each time we baptize in the community of faith. And we may be reminded of that proclamation and that promise every time we get wet, whether that is at this font or when we get soaked in the rain. I am so very happy to be part of you today, to follow Jesus with you in the world, to bear God's love to all the ends of the earth, to be marked and claimed as God's beloved, to invite all God's children to give worship and praise here at Trinity.